The situation remains nominal. Most of the money we’ve been allocated has been applied to increasing the facilities, the slow portion of which is digging out the space, since our entire base is below ground. Expansion continues apace, but a terror site has been launched in Port Said, Egypt. Since this will likely be an extremely difficult mission, we’re going to send our most experienced soldiers. Will will lead James, Billy, Kevin, Joanna and Laura H. on this one. The squad has barely taken up positions before Will’s battle scanner lights up 3 Chryssalids, the monstrosities that took Zombified Adam. As they move up to attack civilians the entire squad unloads on them, and while a couple of hits are scored they’re largely unharmed by the reaction fire. The squad begins taking a tactical view and Kevin put a couple of rounds into the closest one, barely scratching it, James puts a few more rounds into the same one, but these things are tough. Joanna unloads her clip but fails to connect. Laura moves up and finishes off the first one. Billy directs a civilian to safety, but in the process loses his shot on one of the other Chryssalids. However it runs out into Will’s crosshairs and he takes it down with a reaction shot. The third moves to the roof and kills a civilian, likely meaning we’ll have a zombie problem shortly. Meanwhile the battle scanner has pulled up some kind of drone coming around the back of the building. Kevin and James combine fine on the one on the roof, with James claiming the kill shot, but it’s pretty half-hearted, these things are scary enough everyone is just happy it’s dead regardless of who scores the frag. The rest of the squad takes a moment to reload while Will covers everyone. James moves up and flushes two more Chryssalids. Laura, Joanna, and Billy all unload on it. James chooses the wiser course of action and flees while Will drops it. However there’s still another inside the building. Again concentrated fire from half the squad is required to put it down, with Will taking the kill shot. Joanna unloads her second clip into a zombie that shambles out of the building… apparently the Chryssalids had already been busy. In Pete’s Name! James moves to cover to drop the zombie and spots another trio of Chryssalids! The squad unloads on the closest of the three, except Laura who puts a hurting on the zombie, but fails to take it out. Billy is now prime contender for MVP this mission, as the zombie approaches his position (James and Kevin are right nearby) he drops it, and then second later, the wounded Chryssalid charges up, and he drops it as well with the last bullet from his clip, and mere seconds before it sank it’s fangs into Kevin. Billy and Joanna take out another Zombie, however 2 more Chryssalids and another Zombie are coming up from the East and the squad just can’t bring enough firepower to bear. And things are worse, there are actually 3 Zombies. Well were, Laura puts a rocket in the side of the building taking out two, and injuring a third! A brief moment of hilarity! A zombie does a triple flip as it drops off the roof. Sadly, the fall doesn’t injure it at all, though it does give the squad plenty of time to fill it with lead before it can get close. As the squad moves around to the East, one of the drones we briefly spotted before finally shows up and a few shots are scored on it, but it is terribly strong. Several squad members unload on it, and as usual Will claims the kill shot, this time with a critical that causes the disc to explode. 9 civilians died, but none of the squad was even injured. Excellent! Only 1 UFO escape this month. Panic levels are falling throughout the world, as we seem to have the threat well in hand. We do only have satellite coverage over 1/3rd of the world, but we’re making good progress on that front. A UFO has been shot down off the coast of Japan. It is a fairly small one, so this may be an opportunity to train a few of our newer recruits! Will will be leading as usual, and James will be coming along as he’s our best medic! This will be the first mission for Blake, Conrad, Ryland and Krystal. The squad has barely disembarked and taken cover before a pair of Floaters moves into view. Ryland takes a quick shot but it goes wide, but he moves around the truck he was hiding behind and takes another shot, this time finishing the x-ray off. The other one had moved out of sight, but Will drops a battle scanner in the general area and James moves up, however the range is still pretty extreme and it manages to dodge behind some trees. Krystal also lays down some fire, but to no avail. Ryland spots his opening as it moves through the trees and drops it, claiming a second kill. Blake, moving to the flank discovers the alien ship to the East, and a pair of Sectoids come out to play, though not before he grabs some cover. Since he’s a little far from the rest of the squad James drops a smoke grenade to hopefully give the rest time to catch up without having to entirely abnegate cover. ing. Using some sort of psychic power they have mind controlled Blake. Krystal panics and fires at him, but misses. Let’s hope if we take out the aliens Blake will return to his senses! The squad ignores Blake and and fires on the one alien that can be seen, but everyone except Will miss, and even his shot doesn’t put it down. Then things get worse, Ryland falls to the influence of the second alien and Conrad panics, moving to better cover and injuring no one thankfully. Krystal moves up and empties her clip into the closer of the aliens, and Will finishes it off. Ryland comes to his senses, leaving James with the only chance to save Blake! As he moves up to try and take out the alien it fires on him, hitting him, but the new carapace armor absorbs the brunt of the damage! 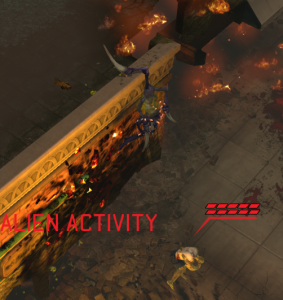 He gets a critical hit, but the alien doesn’t go down. Ryland claims that he’s “Fine now, I’m fine!” as he reloads. Blake, still under alien control, seems to be acting as a scout rather than trying to kill anyone, as he moves closer and is therefore unable to fire his sniper rifle. Ryland charges forward and tries to take out the remaining x-ray but misses. The alien returns fire, and compels Blake to do the same. Fortunately this armor is actually pretty excellent, and though severely wounded, Ryland remains standing. Will says “Enough!” and puts the remaining advanced sectoid down with a single well aimed bullet. Blake returns to his senses, moves up and begins bandaging himself up, though exactly what wounds he took from the psychic assault isn’t immediately clear. Ryland moves near to James who then patches him up as well. Krystal and Conrad cover the entrance to the downed ship while the rest of the squad regroups and heals up. Everyone is basically bandaged up, reloaded but not quite ready to go when Blake heads into the UFO wreck, flushing a pair of the armored Mutons. Ryland moves up and tries to set up a firing line. One takes a shot at Blake, and the other drops a grenade right between the two of them. James moves up and wings one of the Mutons. 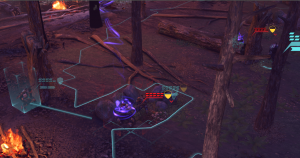 Krystal drops a rocket on them, but while it goes wide, it does take out a wall giving Blake a shot and he takes out the Muton James hit. Conrad and Will both pull their pistols and try and take out the remaining one, but fail to connect. Ryland grabs some cover, but misses as well. 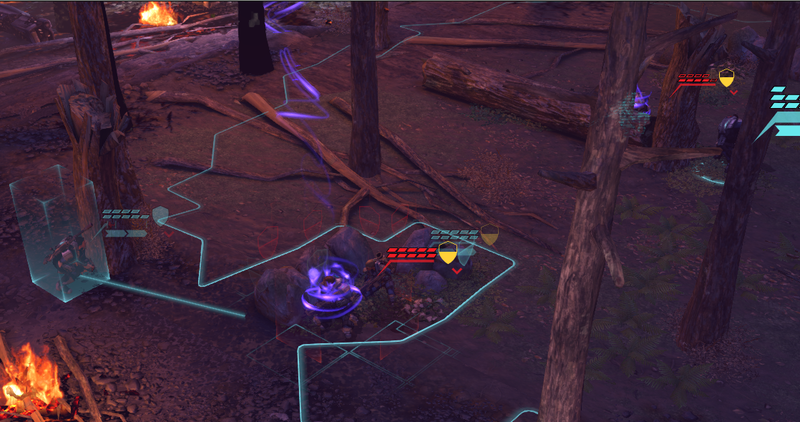 The Muton fires on Blake, and fortunately misses as well. Their plasma rifles look to be much heavier than those carried by the Floaters and Sectoids. Blake and James both tag the remaining Muton, Conrad misses and Ryland moves around the corner and finishes it off! The continued alien presence is having a worldwide detrimental effect. The USA, Argentina, Brazil, Egypt, Nigereria, Japan and Australia all are in a state of terrible panic. 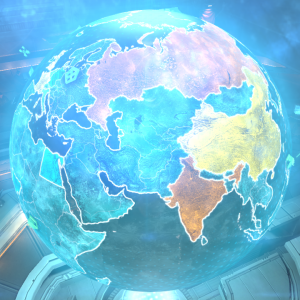 The scientists have finished their analysis of the captured alien shard and developed plans for an improved satellite Nexus so we can track a larger grid. 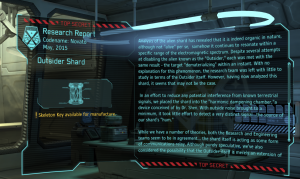 We’ve built a harmonic resonance key, according to plans the scientists developed from the alien shard. Using this we’ve located an alien base in South America. This will likely be our most fraught mission yet, so we’ll be sending our most experienced soldiers! Will will be leading. Laura H and Joanna will be our Heavy support. Billy and Adam our Assault, and James T will be our support unit. This time Billy will be equipped with the Arc Thrower, as James now has certification in advanced field medical techniques. The infiltration of the alien base is a breeze thanks to the HR Key, though the set up is definitely alien. Adam takes point and flushes a pair of Thin Men almost immediately, with our cover blown he opens fire dropping one of them. Billy rushes up and takes out the second one. The rest of the squad moves up to support. While moving to a good sniping position Will is spotted by a pair of floaters. In addition a number of holding tanks are spotted containing bodies… What they are doing with the abductees isn’t immediately clear, but it can’t be good. The floaters take several shots, but lay down some heavy suppressive fire on Will. Laura moves up and tries to take out the floater who is laying down the suppressive fire, but the range is to great for her MG. Joanna takes cover and drops the other Floater. Bill and Adam both forsake cover to flush the floater out of it’s hiding spot. Will takes the opportunity to put it down before it can hide behind a different bulkhead. Billy moves to cover to reload and spots a pair of mechanical drones that we haven’t seen before; he decides to empty his clip into one, much to our scientists likely chagrin. Will pops the second one with a single shot while the rest of the squad moves up. Unfortunately these drones seem to explode rather easily. Maybe we can modify the arc thrower to stun them and capture one. ws and pincer mouths. At this point the squad had become a bit spread out. Billy takes a shot and misses. Joanna gets a few hits on the lead alien, but barely wounds it. Will gets a solid shot on another but it remains standing. James and Adam manage to finish off the one Will wounded, and the remaining to rush forward. Holy crap these things are fast, and deadly. One of them is on Adam in a flash and he doesn’t even have time to react before it has eviscerated him. Will puts another shot into the wounded one, but these creatures are also startlingly resilient, and it takes a burst from James to put it down. Billy and Joanna both unload on the third one, both hit and somehow it manages to remain standing. Joanna keeps firing, completely emptying her clip and managing to finish it off with her last bullet. Laura moves up and spots to Floaters that were sneaking up on us. She manages to take one out before they can spring their ambush. Horror of horrors! Adam has stood back up, only what has risen is generating no life signs. We can only conclude this is some sort of horrid alien zombification process enacted by the centaur aliens. After confirming the situation with the scientists Will puts a shot into the zombie, and Billy finishes it off. Meanwhile the other floater tries to circle around during the distraction, but Laura is ready and drops it as it moves between cover. The squad takes a minute to reload, then begins moving forwards again, even more cautiously than before in case more of the centauroids show up. More vile experiments are discovered, more gruesome sounds are heard and the general unease increases until finally James spots two more pairs of floaters. Will takes one down from what seems like half a mile away. The rest of the squad takes up position and James falls back. Laura unloads on one as it approaches, grabs some cover and finishes it off unloading the rest of her clip. Will drops a second one, leaving one more somewhere out of site. Billy, Joanna and James move up and James spots the remaining alien first, pumping it full of bullets before either of the other two can draw a bead on it. As the squad continues to move forward will throws a scanner, revealing a huge and ominous door. No doubt speaking friend here would be purposeless. Everyone takes a minute to check that their clips are full as they slowly advance. Maybe there is an end to this base after all. As the squad moves through the great door another pair of drones and another pair of the centaur aliens moves up. The squad has been going very carefully and the drones both go down under a hail of fire so intense no one is really sure who is responsible, unfortunately the centauroids show up a bit later and what little fire can be concentrated upon them is insufficient during the reactionary fire. Will takes aim and plugs one. Laura says “Screw this, I’m not becoming a zombie!” and launches a rocket at them. Amazing one of them is still standing after the explosion, but Billy is able to finish it off. While moving to a new sniping position Will spots a pair of Sectoids, but the scuttle out of sight so he reloads. James moves up and manages to take one of them out. Billy tries to find a position to take down the second and spots a new alien, similar to the sectoids, but different. The scientists declare they’d like this one alive, but Will has already pulled the trigger and put a bullet through it’s, admittedly slightly bigger, head. 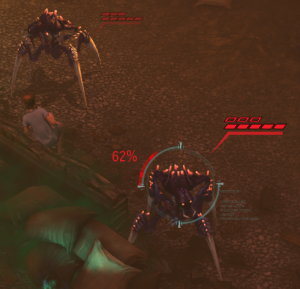 Laura moves up and finishes off the remaining sectoid. 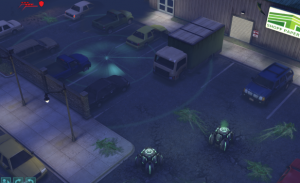 After a sweep of the area it’s determined that all aliens are dead and the base is secured. The destruction of the alien base has reduced panic throughout the world. Leaked cam footage from soldiers helmet cams has made it to youtube, but since that seems to be having a beneficial PR effect command doesn’t seem too interested in investigating the source of the leak. The scientists are in a tizzy, barely able to decide which research to focus on. Our scientists have developed plans for Carapace Armor. All available fund have been diverted towards construction of 5 suits of this armor, in the hopes that it can help prevent anymore deaths of our operatives. A UFO has landed in the UK, and we’re scrambling to get there before it takes off. This will be the first time testing the new armor, but we are one set short, and Adam draws the short straw. Will will be leading the mission. Joanna is our Heavy and James T. our support. Adam, Matthew H. and Kev will fill the assault roles. This is a landing site, not a crash, so the squad moves in extra careful, but no threats are immediately apparent, even when Will moves up and throws a battle scanner far forwards. However it’s only a few seconds later before Kev spots a pair of brutes. James moves up and takes a shot at long range and misses, as does Will. Joanna begins some suppression fire on one of them, and Kev manages to wing the same one. Matthew holds his shot in the hopes one will break cover. Sadly they do not, taking wild shots at Kev and Joanna, both of which miss. Will takes another shot at long range and fails to connect. James moves up to flank the brutes and spots a trio of Sectoids, who scatter into the underbrush. The squad unloads on the Brutes, but the long range and low visibility (it is twilight) both make it difficult and none do any better than Will. The Brutes move around and flank James, one laying down suppressive fire while the other moves behind him. However the second one exposed himself to Will in the process who takes full advantage and puts a bullet through it’s skull. Matthew moves up and puts a couple rounds into the remaining Brute. Kev moves up to try and finish it off, but comes under ambush from one of the Sectoids in the process. He’s hit, but the new armor absorbs the majority of the damage. Adam grabs the bit of cover Kev just vacated and puts down the responsible Sectoid. Joanna takes down a second one and Kev finishes off the last of the Brutes. Oh no, even more aliens. Six of the Floaters deepstrike onto the remaining Sectoid’s position. Will drops one with his last remaining shot. Joanna earns our first Pentuple kill, with a well place rocket. Of course, the scientists will be furious about all the destroyed equipment, but the odds are heavily swung back into our favor now. James reloads, and the rest of the Assaulters move into closer position. Will moves forward and reloads. 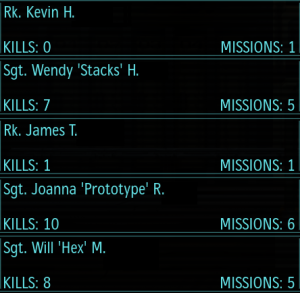 Joanna takes out the remaining Sectoid and the rest of the squad continues to move slowly forward. Kev patches himself up and as the squad comes up on the alien craft, everyone checks that they’ve got full clips. Kev and Adam move up and flank the “front door” and kev opens it, the rest of the squad moves in through a smaller entrance on the right side while Will covers everything from the hill outside. No activity is spotted so Will moves up close to where Kev and Adam have stationed themselves. The ship is set up in a Y shape from the main entrance. Kev and Adam break left, with Will covering them from behind, the rest of the squad heads down the right side of the ship. Further ahead both corridors curve back into a central room Matthew, Joanna and James get there first but the room appears to be empty, though sounds can be heard from deeper in the ship. The last room has two entrances and once the squad is positioned around the right one Kev opens the left door. Inside is another of the Energy aliens, and the scientists come on the comm, strongly suggesting we try and capture it alive. James is the only one equipped with an Arc Thrower, “I’m game!” he says and moves up to try and stun it. He slips around the corner and the alien can’t even bring it’s weapon to bare before James has tazed it. Mission Success! And the docs say Kev will have a little bruising, but the new armor has kept him whole and hale. By selling a few of the corpses to other governments we were able to put together enough money to make another set. The scientists are excited to interrogate the live specimen we’ve captured. We should have a few satellites ready soon, as well as improved laboratory facilities for our scientists. Funding continues to be an issue. However the sale of the products of our research is netting us a little side business. Additionally we’ve been tasked with saving an important politician, who has been captured by some aliens. The Skyranger has been upgraded with 6 seats, and so on this mission we’ll be sending: Captain Will (Sniper), Lt. Billy ‘Viking’ (Assault), Sq. Duncan and Rookies Matthew H., Jess G., and Patrick. William Thorne is pinned down in Mexico. Turns out he’s not actually a hostage, but apparently he’s been in collusion with the aliens. HQ wants him brought in for “questioning”. He’s making protestations of his innocence, if that’s the case, he should be happy to come with us, as there is a definite alien presence. Two Thin Men are spotted almost immediately. Will M. moves to the roof and tosses out a battle scanner to pin down the location of the two x-rays. With their location on everyone’s HUDs Billy moves up and takes one down from cover, and Jess moves up and unloads on the other, taking it out, and not even bothering to find cover. Billy moves closer and spots another Thin Man, but can’t draw a bead. The rest of the squad moves up, keeping Mr. Thorne under close observation, but guns ready for the remaining x-rays that are surely hidden in ambush ahead. Two aliens break cover, more Thin Men, and one manages to hit Jess. Duncan tries to get to better cover, but also takes a shot, however his return fire puts the alien out of commission. Will takes the second one out from the roof across the street. Jess moves up and patches herself up. Patrick breaks cover and fixes Duncan’s wounds. Matthew moves up and takes point while the squad regroups and heals. Another Thin Man drops in literally, landing on top of Will’s sniping position. It’s a miracle Will was not hit, and who got the kill is kind of up in the air as 3 people were on Overwatch and unloaded on the alien almost before it even realized it’s mistake. Matthew takes out another, giving Mr. Thorne time to get aboard the Skyranger. 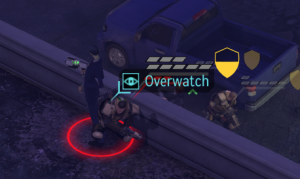 Will’s last battle scanner detects another pair of Thin Men inside a building near the extraction point, and command suggest we take them down before finishing evac. The squad quickly moves into position covering all of the exits. Duncan kicks in the door, and as planned the aliens flee out the back of the building where Will caps one with a single shot. Duncan, Jess and Billy all open fire on the remaining one, but only Billy’s bullets connect. With all aliens down, the possible traitor in custody and only two minor injuries this was a definite success! Alien Containment facility, though of course once that is complete we’ll have to try and capture a live alien for the scientists to study. With the end of the month fast approaching, we’ve promised the UK, France and Russia additional protection, and launched satellites to aide in that. Japan is near the tipping point, but we’re already offering them as much protection as we can. The monthly report is in, and the Council has only given us a B this month, but we’ve got $550 in funding, and hopefully can expand the base and build some better armor for our troops. The largest UFO we’ve detected yet has been pinpointed crossing into the northern Russian border. Everything in range has been scrambled to intercept. The first Raven to arrive barely scratched the beast and was nearly destroyed. A second did little better. While we’ve ordered 4 more Ravens, they won’t be operational for hours yet. This bogey is going to get away. Expansion of the facility continues apace, the aliens have been quiet for almost a week since the last big ship got away. It couldn’t last though, and three more abduction sites have been detected in Baltimore, Kolkata and Brasilia. Civilian panic is highest in India so we are going to go there first even though it looks to be the most difficult to contain. James has volunteered to try and capture a live one and is taking one of our Arc Throwers for it’s first field test. Joanna will be leading the mission and has selected Laura H., Wendy and Will for their Heavy, Support and Sniping skills. n two in the hopes of flanking the aliens. Near the end of the block Will moves to the roof to get a better vantage point and accidentally flushes two pairs of Aliens, 2 Thin Men and 2 Sectoids. Joanna moves up and takes one of the Thin Men down promptly. Wendy and James both fire on the second, and James wings it, but it flees farther away before they can finish it off. gh for Laura to unload on it. A pair of new aliens, bulky and wearing heavy armor show up. Well, the scientists will be pleased at least, especially if we can bring one in alive. Wendy moves up to the roof to engage the new aliens, and hits one dead on, it makes an intimidating roar and she panics, grabbing the closest cover she can find, sadly it is not enough; both aliens unload a fusillade of plasma shots killing her. Then one of them jumps through the skylight and manages to tag Joanna from behind as she was making her way to the stairs up. Laura starts unloading with suppression fire on it, but even that is not enough distraction for Joanna to return fire successfully, but she does clip the alien a few times before she runs out of ammo. James throws caution to the wind and runs up to try and stun the alien. Thankfully, the alien goes down. The other alien manages to hit Joanna through the skylight. She goes down, but if we can get medical attention to her, it might be possible to stabilize her condition. Laura does so and then moves to the stairwell. James trades fire with the alien, and both get injured, then it jumps down and charges after Laura, shooting her until she is also unconscious. James unloads on the alien, but it just won’t go down. Will runs up, and puts 2 shots into it with his pistol, finally taking it out. Our fallen now number three, and Wendy’s name and record join Caitlin and Dave’s on the Memorial Wall. Another rash of abduction sites has been reported. Why do they always come in threes, they must be hoping we don’t have the resources to deal with all three at the same time. Sadly they are right. The situations in Nigeria and India are both relatively calm, so we’ll let the local police enforcement deal with the two easy incursions. We’re going to Leon, Mexico. Our tactical dept. suggest this mission will be very difficult, as such we’re sending in our most experienced soldiers. Will, Laura H., Wendy, and Joanna. Even though James is more experienced, Caitlin is currently our the only soldier we have trained in Assault tactics and command has bumped her onto the mission of James. The incursion is taking place at a Paper factory in southern Leon. Will has been given some new tech, a scanner that basically gives him (and by relation the rest of the squad) an extra set of eyes. He moves up first and deploys the device in the employee parking lot. And it works, a pair of lifeforms are detected almost immediately, and even better don’t detect us in return! The rest of the squad moves up carefully so as to avoid detection, but the distant trio of aliens are too far off for will to be confident of a shot and so holds his fire while the squad continues to move into better position. A trio of the Jetpack equipped aliens is moving in a fenced off area, and Caitlin takes a show, blowing our cover and missing. Her second shot while also a miss flushes a trio of Sectoid that were hiding nearby. Laura and Joanna both fire, and Joanna claims the kill shot. Wendy moves up and takes out one of the Jetpackers. One of the sectiods fires and misses her but hits Caitlin who panics, breaks cover and returns fire to no avail. Sadly one of the surviving Jetpackers takes the shot, and command reports a loss of vital signs. Laura also panics, but manages to maintain cover enough so that the fire she comes under leaves her unharmed. Joanna keeps her cool, taking out one of the remaining x-rays from the jet pack squad, and then unleash a burst towards one of the Sectoids. In the face of the determined assault both aliens fall back. Will deploys his remaining Battle Scanner, detecting another pair of Sectoids. Laura regains her composure enough to move forwards and unload on one, but the extreme range is too much for her heavy MG. Joanna is completely empty and takes a moment to reload, while the rest of the squad moves forwards. Wendy kicks in the door and moves into the offices where the last Jetpacker has fled. She spots it and takes a shot but fails to connect, however it stupidly charges forward and she unloads the remainder of her clip into it. Another pair of Sectoids is picked up on the Battle Scanner. How many aliens are there here? I guess Tactical wasn’t kidding when they said this would be very hard. Will takes his first shot of the mission, killing two aliens with a single head shot! Apparently the psychic link between two aliens can be fatal if disrupted violently. Sadly both Laura and Wendy come under fire, and both are hit. Laura remains undaunted, maybe trying to prover herself after her brief moment of panic, and moves up and returns fire but misses. Wendy falls back to reload. 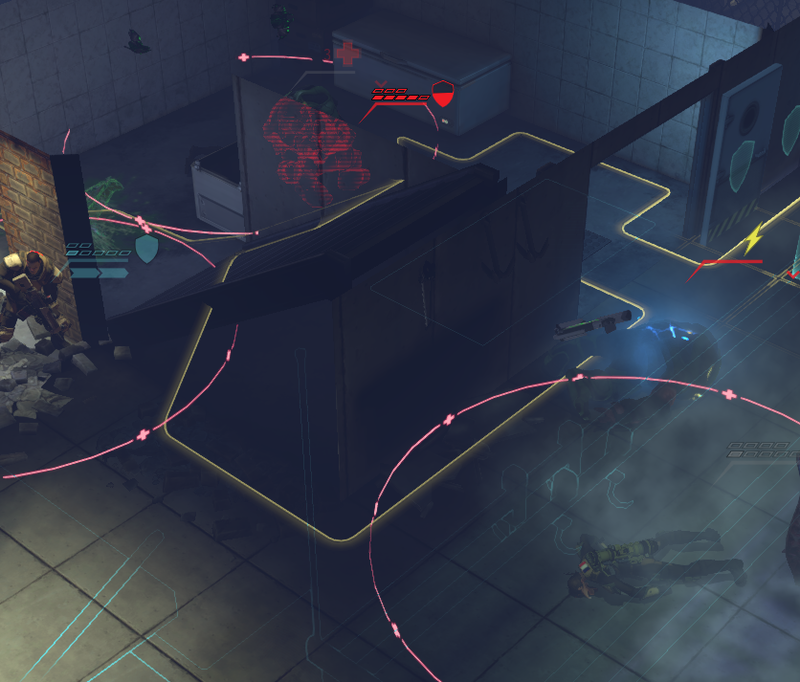 The Sectoid moves up to try and flank Laura, and Will lines up a shot and puts it out of our misery. Joanna covers the offices while Laura and Wendy patch themselves up. The squad has moved in to clear the offices out, and a sneaky Sectoid busts through a side door to try and flank, only to be mowed down by Laura! 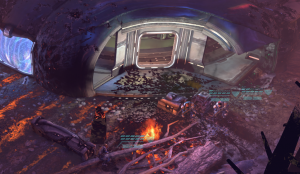 Wendy runs up and finishes off the last Sectoid. Our fallen now number two, and Caitlin’s name and record join Dave’s on the Memorial Wall. Panic is rampant in Russia and France. The UK, India, Australia, Mexico and Argentina are all on high alert. Only 4 days remain before we are able to launch our next 2 satellites, hopefully we can get them up in time. Canada has requested samples of the Nano-fiber vests we’ve developed, and offer to send a few of their best engineers in return. Assuming we can acquire the necessary materials, we will supply them with a couple. Melbourne is under attack. Threat level is high, so we’re going to send in our most experienced soldiers: Lt. Joanna ‘Prototype’ will be leading the mission. Our Sergeants Will ‘Hex’ and Wendy ‘Stacks’, Laura H. has achieved the rank of Corporal but still hasn’t been given a nickname. James is no longer a Rookie, but this will be his second mission. Considering how long it’s been since Australia has been at war, it is unsurprising that this military base is almost completely staffed by civilians. We’ll have to rescue as many as we can. At least the aliens attacked a target that was of little real tactical value. It’s not like tanks would do much good against their space ships. Per standard protocol the squad moves up taking advantage of cover and keeping each other in sight. A pair of frightening new alien life forms are spotted by Will as he moves up into a sniping position, flushing from their hiding spots. They have four legs which end in claws, and a pair of terrifying arms. As they charged towards us James and Laura unloaded on them, but only Laura connected. They were momentarily distracted by a civilian, hopefully he’ll keep his head down as a hail of lead is about to be coming his way. Joanna is the first to pull the trigger, spray bullets in a wide arc and hitting both x-rays, but killing neither. James moves up and takes out the first one, and Laura fires from cover finishing off the second. The civilian remains unharmed. A pair of jet-pack equipped aliens emerge from the smoke further within the depot. Laura, Wendy and Will all take shots, but they are too far away, and the x-rays are able to get to cover unharmed. The screams of civilians can be heard in the distance. At least two are wounded or dead. Laura reloads. Will puts one down with a single shot and Wendy moves up to try and draw a bead on the second. Wendy opens fire as it moves from cover and misses, but James follows her lead and manages to wing the alien before it moves further into cover. Judging from the sounds it has killed another civilian. Time is of essence! James runs forward and empties his clip into the x-ray; it’s back explodes as it tries to retreat. The rest of the squad moves up to provide support. There is a brief respite as the squad approaches the administrative building, but as they get close another pair of the jet-packers emerge from the building. Wendy and Laura lay down covering fire, forcing them back into cover, and Laura puts one of them out of commission for good. James, Wendy and Laura all move up and unload on the remaining x-ray, but it has gone to ground and even though a few of Laura’s bullets connect it doesn’t actually expire. It returns fire at the sandbags that Laura and James are crouched behind, but it’s shots go wide. Joanna moves around and Flanks it, putting a few shots into it from the side where it can’t benefit from cover. Final result, 4 civilian deaths, but 14 were saved. 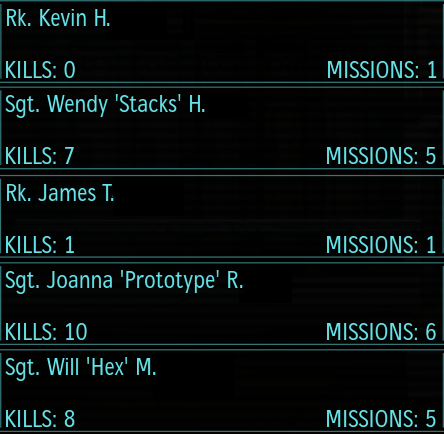 6 aliens killed, and no injuries with our squad. Everyone besides Joanna has been promoted, and Laura has earned the nickname ‘Thunder’. A medium sized UFO has been detected off the coast of Japan, but we have no interceptors in range. We’ll continue to track it as long as possible but there’s not much we can do. Unrest is high in Mexico, Russia, India and Australia. We have Satellites over Japan and Germany, and should have processing power to put two more up by the 15th. Multiple Abduction sites have been reported. France and Argentina will have to make due w/ their own national defenses, we’re prioritizing Egypt. If we have time we’ll send the sky ranger out again. For now we’ll be sending out 3 Experienced soldiers, Joanna ‘Prototype’, Heavy; Wendy ‘Stacks’, Support; and Will ‘Hex’, Sniper. Two Rookies will also be joining them, James T and Kevin H.
The Alien Incursion zone is a rail station. The squad moves carefully forwards as usual, and after a few minutes of infiltration a pair of Thin Men are spotted by Joanna inside one of the trains. Joanna and Wendy both takes shots on one of them as it fires on James. Sadly only the x-ray connects, though James is merely wounded. As Joanna moves to a better position, the other member of the pair fires on her but misses. James moves up behind a Line Map Kiosk and takes a shot, while he misses the distraction allows Wendy to move up to his position and patch him up. Kevin meanwhile has moved up and taken a position in the train from which he and Joanna can concentrate fire on the x-ray that wounded James. They take it down, but Joanna claims she got the killing blow. Will moves up to try and pin down the other, but it fires off some sort of toxic grenade that poisons him. He returns fire, putting a single round into the alien’s head and putting it out of commission. Meanwhile as Kevin moves down the train to check that it is clear he spots another pair of Thin Men on the tracks. Joanna moves up and takes one of them down, the other has moved to cover though. James and Wendy move to catch up with the rest of the squad. As Wendy moves down the train car the second one springs from ambush, wounding her with plasma fire. Joanna takes a moment to put in a fresh clip. Wendy returns fire, but her wounds are too severe and her shots go wide. Kevin move up behind her and uses his medkit to fix her up as best he can, and a good thing too, as the alien moves closer and hits Wendy again seconds after her first wounds are bandaged. Meanwhile James has run even further down the train and is able to flank the last alien taking it out before anymore damage can be done. Hopefully the doctors back at base will be able to cure Will’s poisoning. Though three of our soldiers were wounded, none is severe, and the docs assure us Will will be back on his feet shortly. Joanna still leads the kill count, with 10 x-rays to her name. Civilian panic is reaching worrying levels in Australia, India, Mexico and Russia. We have had only one casualty so far, Dave F. Base expansion is coming along well. Things could be better, but the outlook is good. Plans are in place for increased satellite coverage. Our scientists are clamoring for capture of a live alien and Engineering claims they’ll have a solution Real Soon™. Officer training has been expanded. April 6, a UFO landing zone has been spotted. With our expanded Officer training, 5 soldiers have been authorized for this mission. Joanna ‘Prototype’ will be leading the mission. Caitlin is running second in command. Laura H. and Wendy both have some experience, and Laura B. is on her first mission. As usual, the squad advances with caution. Laura H. is the first to spot enemies, two of whom manage to gain cover before she can bring her weapon to bear. She manages to obliterate the tree trunk it was hiding behind, but there was some rock there as well and it appears to be unscathed. Caitlin moves up and takes a shot with her shotgun, but the range is too far, and her shot does no damage. Two of the three aliens return fire, and she is severely wounded by their fire. Laura H. unloads the rest of her clip, managing to take out the x-ray by dint of the massive hail of fire she pours in it’s direction. Laura B. moves up and manages to clip one of the two remaining sectoids, but it doesn’t go down. Caitlin falls back and Wendy fixes her up as best she can. Joanna tries to put down the wounded x-ray to no avail, and decides to keep firing, laying down a spray of suppression fire that should at least make the alien think twice about poking it’s head out. Another 3 sectoids move out of the alien ship to support the first squad. Laura B fires and misses, as does Wendy. Laura H. and Joanna reload. Caitlin moves up to take a shot and slides down an embankment, coming under fire from four aliens, and taking hits from two. Some how she miraculously manages to keep her footing, and, severely wounded, flees back. Laura B. moves closer to the second squad and tosses a grenade which manages to take out all three. This is excellent, as a squad of rocket pack aliens we have not seen before have just shown up. Wendy drops one of them and Joanna takes down a second. Caitlin after getting patched up a second time, this time b y Laura H. plugs the third and final member of the new squad of unknown aliens. It looks like there may only be one x-ray left, and the squad moves in to try and take it out. Joanna takes a couple of shots, but it keeps falling back, and she doesn’t want to get too far ahead of the rest of the squad. Wendy moves up and takes it out, but Laura B. who is on the other side of the wreckage alerts the squad that she still hears movement. 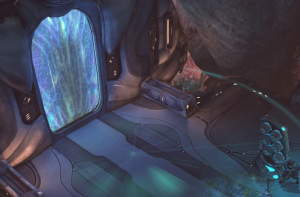 Another Energy Alien is spotted inside the landed ship. The squad moves up and tries to cover all of the entrances, but was kind of spread out. As the squad moves in, Wendy spots the alien from the other side of the ship and takes a shot, but misses. However she is able to call out the alien’s location and as it moves from cover a minute later Laura B. is able to connect and put it down. Another mission with no casualties. Caitlin is hospitalized, but the wounds are surprisingly light consider the number of shots she took. Wendy and Laura B. have both been promoted. Joanna maintains the record for most kills at 8.